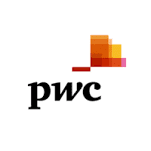 Freshers and Experienced Candidates can apply for the various job position in PWC. It is an opportunity to make a career with the giant in Audit industry. PWC provides many types of employee benefits and best salary as per market standard. There is various job position to all Candidates from 2017,2016,2015,2014 batch who has completed Masters, Graduation, Degree, Diploma engineering,10th, 12th,ITI.To get more job opening news candidate needs to apply by filling the online application form in PWC website at https://www.pwc.in/careers.html.For a bright future and best salary jobs apply now via www.freshers-job.com. Minimum Graduate degree in any discipline can apply (commerce background will be preferred). Engineering candidates with good communication can apply. Freshers with the full-time course will only be applicable. Interview Locations : Chennai / Coimbatore / Bangalore / Kolkata / Hyderabad / Delhi (NCR)/ Pune. For Kolkata Jobs, Hyderabad Jobs, IT Jobs, Bangalore Jobs, Pune Jobs, Chennai jobs, Delhi Jobs, Gurgaon Jobs, Noida Jobs in Fresher Recruitment 2018 Visit our related post.